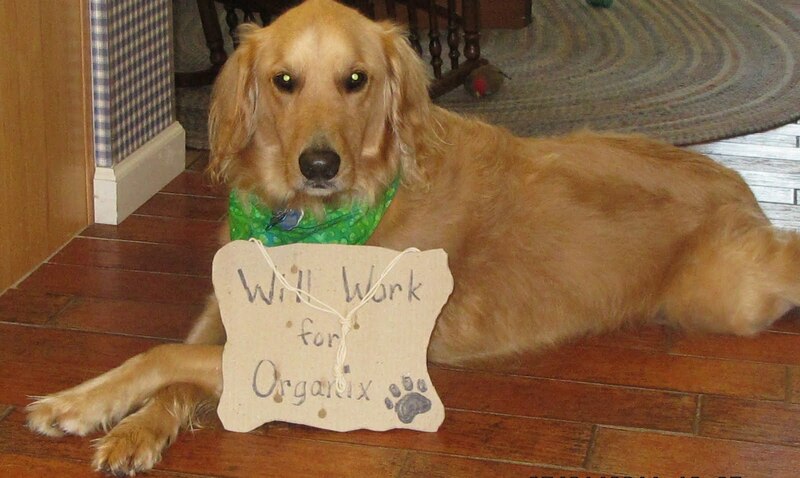 5 Minutes for Fido: I Can Finally Say It: I Love Organix! Okay, I guess that's sort of corny. But it has been killing me to keep my snout snapped through this secretive business. I'm glad the cat's out of the bag! So, did you read The Big Reveal AND the Giveaway post? I can't believe mom is giving away 12 bags of food. I'm trying to find it here, but she has hidden it really well. A little help? Shouldn't I get something for all my modeling efforts? Hold the dog whistle. I just remembered that mom made a new recipe yesterday--dog cookies out of Organix crumbs from the bottom of the bag. Boy, did they smell and taste good. She'll be sharing that recipe soon, so you can all save money on treats, while using up the leftover crumbs from each bag of food. Cool, huh? We should hop into the Pet Blogger hop to help get the word out. Enjoy! Thank you for letting us see these great pictures! 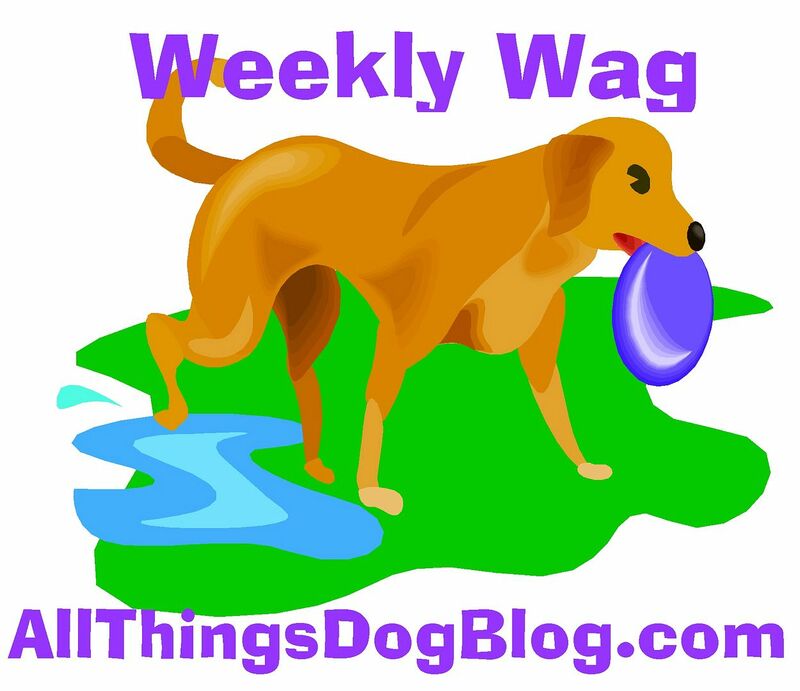 Stopping by on today's blog hop - go see my video today called "The Bad Dog Blues." www.pet-peeves.org Love to have your comments! Hi, Sam from the blog hop! I must say, Organix is one of my faves! Mommy cooks most of our food, so we don't get commercial food very often and we tried this last weekend and we loves it! Here from the Hop! I love that photo - it is so adorable. I've never thought of making cookies from the kibble crumbs, but it's such a great idea! Love it.